Our bodies take in an amazing amount of toxins EVERY DAY though the foods we eat and the environment we live in. The liver is a vital component in the body for delivering nutrients from food through the blood stream to fuel other organs. It plays a crucial roles in your digestive system, immune system, during metabolism and in the body’s detoxification system. Produces Bile which is a liquid that removes chemicals and helps breakdown fats. Converts foods into energy through glucose which is released through the blood stream. Breaks down nutrients from food so that they can be properly absorbed into the bloodstream. Detoxification is the major role played by the liver. It breaks down toxins and chemicals and releases them through bile or urine. As you can see, a properly functioning liver will contribute to improved daily health and it is why you hear a lot about doing a liver detox. What is the importance of having a liver detox? Improving your diet by consuming antioxidant-rich foods can boost the liver’s ability to remove toxins and damaging free radicals from the body. 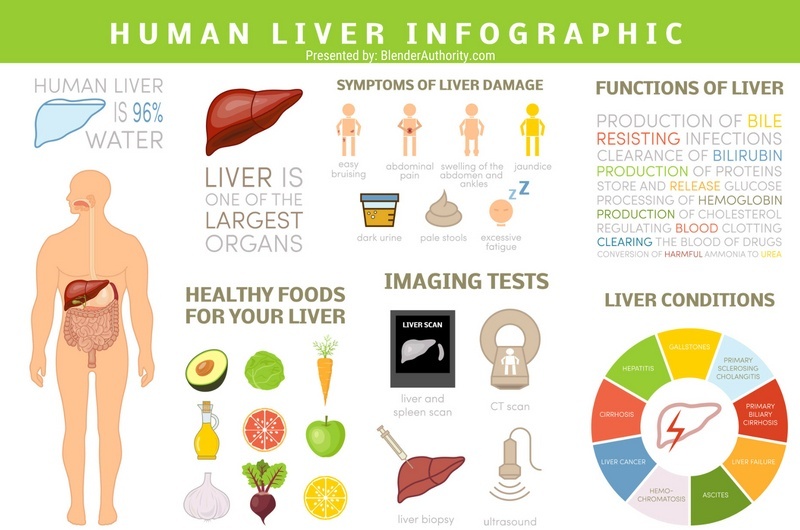 Benefits of proper liver health include healthier skin, breaking down unhealthy liver stones, more efficient processing of foods, improved bile production for breaking down fats, and more. While there are many unusual liver detox cleanse diets and fads out there, the safest way to truly cleanse your liver is with a diet that is rich in important antioxidants and liver boosting foods. Below are some of the best ingredients that you can use in your kidney and liver cleansing smoothie for improved liver health. 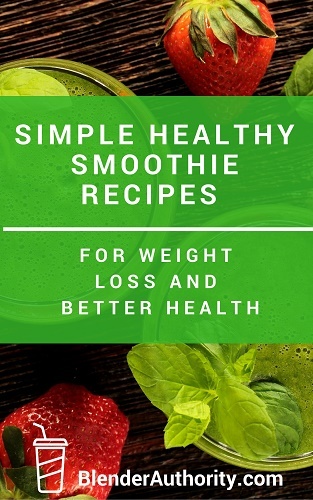 I provide 8 terrific natural detox smoothie recipes below, but first I wanted to give you the ingredients to use and why they are beneficial to the liver. Leafy greens – They contain chlorophyll which filters toxins and harmful substances. Kale and dandelion leaves are among some of the leafy greens which act as antioxidants. Excellent for cardiovascular heart and healthy cholesterol. Artichokes – Have compounds that assist in bile production. They also help lower blood uric acid levels which helps reduce the risk of developing kidney stones. Citrus Fruits – Rich in Vitamin C to help the body remove toxins and support liver cleaning functions. Watercress – It’s a herb that contains pheny-lethyl-isothiocynate which assists in killing cancer causing substances. Sesame seeds – They contain sesamin which is a compound that protects the liver from damage. It is a good antioxidant to protect the liver from the effects of alcohol. Beets – Loaded with anti oxidants and known as a cleansing food. Asparagus / Broccoli / Cauliflower – rich in glutathione and sulfur which help in the body’s detoxification process. Apples – The skin of the apple helps in digestion, this makes it easier for the liver to perform its roles. Berries – They are full of nutrients and fiber. They also have antioxidants that assists in cleansing the liver and the digestive system. Celery – Rich in antioxidants and excellent for detoxification and cleansing. Green tea – Apart from reducing the risk of cancer and heart disease it also increases the phase 2 liver detoxification reactions. Turmeric – The main component of turmeric is curcumin which raises glutathione levels and is a powerful antioxidant. A wonderfully refreshing smoothie with plenty of vitamin c and other cleansing ingredients like celery, parsley, and dandelion greens. Perfect for when you are feeling sluggish and need a pick me up. Loaded with healthy greens, this is a simple liver detox green smoothie that is packed with nutrition. It doesn’t get much greener than this smoothie recipe. Not too many smoothie recipes use artichokes but artichoke hearts are very beneficial for healthy liver support. This smoothie has a nice kick to it with the use of garlic, turmeric, and lemon. This is a great Liver detox cleanse recipe from a registered nurse. It is packed with detoxifying ingredients like beets, apples, dandelion greens, citrus, and carrots. 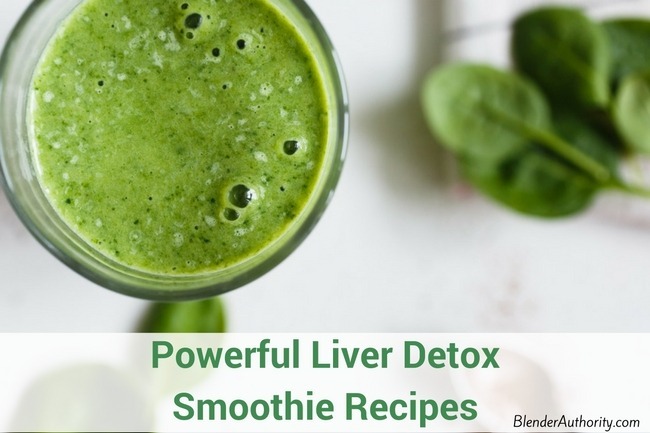 This liver repair smoothie recipe from best selling author Sarah Wilson offers a nutrition-packed blend of purifying ingredients. This recipe uses apple, zucchini, mixed greens, turmeric, parsley, chia seeds, and lemon. Unique mix of green apple, hemp hearts, mint, and berries to give it a sweet refreshing taste. This simple liver detox recipe from Nutribullet is easy to make and requires very few ingredients. It is very similar to the ingredients used in a detox green juice recipe. All of the above liver detox smoothie recipes will support a natural liver cleanse and healthy liver function. Smoothies offer a simple way to get the essential whole vitamins and minerals needed for liver health so get started today. A guide to the best liver cleanse ingredients and 8 liver detox smoothie recipes for improved liver health. Hi. Are they pickled beets? Or fresh raw beets? I am planning on trying this tomorrow! I am also a nurse that believes there are many ways to keep us healthy. Raw beets. Pickled beets would probably add a strange flavor. Hi Anna Powell. Think I may give this a try. What is the recommended serving size? And curious as to what it taste like. Thanks:) I saw that you recommend drinking it daily. Is there a certain period of time, like a week or two, that you should drink it?